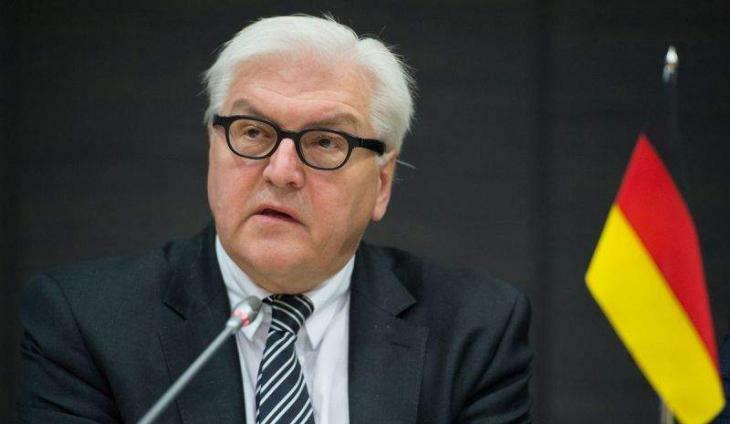 BERLIN (UrduPoint News / Sputnik - 16th April, 2019) German President Frank-Walter Steinmeier urged on Tuesday all Germans and Europeans as a whole to contribute to the restoration of the iconic Notre-Dame de Paris cathedral after a massive fire. "[French] President [Emmanuel] Macron called on Europeans to take part in the reconstruction of Notre Dame. That is why, I am happy to use this opportunity to urge the citizens of our country and of all Europe to support the restoration of Notre Dame," the president said in a televised address. The fire, which is believed to have started at the top of the centuries-old cathedral on Monday evening, destroyed most of the wooden roof and caused the collapse of the 300-foot spire, one of the most recognizable features of Notre Dame. German Foreign Minister Heiko Maas has offered France any support it could think of. German and French experts, he said, were already working closely together. "The fire at the Notre Dame cathedral has struck at the heart of France and entire Europe. Our compassion and solidarity are with our friends in France. We offer France any support it needs. Experts in France and Germany have already been working closely together. If France wants to fall back on this network, we are ready to help," he said in a statement shared by his office. Hundreds of firefighters battled against the fire for hours throughout the night and managed to preserve the principle structure of the building, the two main towers and at least one of the rose windows. The cause of the fire is yet unknown as well as the exact damage that the fire has inflicted on one of the most well-known symbols of France. Some officials have linked the blaze to renovation work that was being carried out at the Gothic cathedral.